Samsonite knows a thing or two about luggage, after all, it has been producing innovative and award-winning baggage since 1910. With a track record like that it’s no wonder there are solutions in its portfolio for just about every possible travel scenario, and what I like is it continues to introduce and enhance. Following on from the success of the all-conquering Cosmoilite hard case series, the Samsonite Lite-Locked suitcase is effectively the next generation version and in my view a worthy successor. The main difference with the Lite-Locked range is the zip closing mechanism on the Cosmolite has been replaced in favour of a separate lock on three sides. The zip system was always a tricky business particularly if you had a lot packed in; there was always a danger the zip would break if you forced it too hard, or you had a worry it would burst open in the middle of the airport carousel causing a very awkward moment. Even though in my experience, it never happened, dispensing with a zip for separate locks is a much better solution. 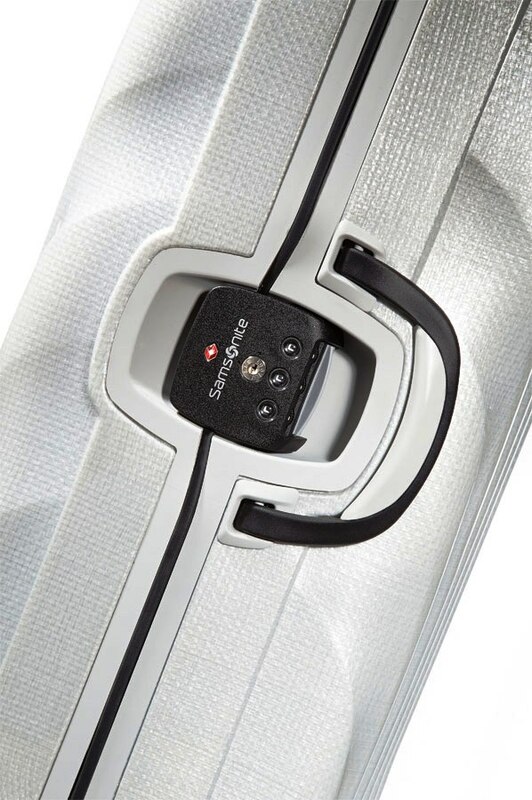 Samsonite’s three-point locking system uses rocker levers to grab both parts of the case and ensures a snug watertight fit. 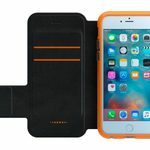 So if the case is very full you just press down hard and clip it together on three sides, much better than struggling with a zip. 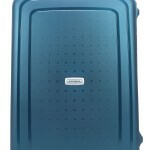 Everything else about the Samsonite Lite-Locked is standard Samsonite quality. The hard durable but ever so light shell is the legendary Curv material, made from polypropylene. This is the stuff used in ice hockey skates, shin guard protection and body armour so not only is it super light and impact proof, you could say it might be bulletproof too – but let’s not try that out! Suffice to say it will withstand just about anything you can throw at it whilst travelling. 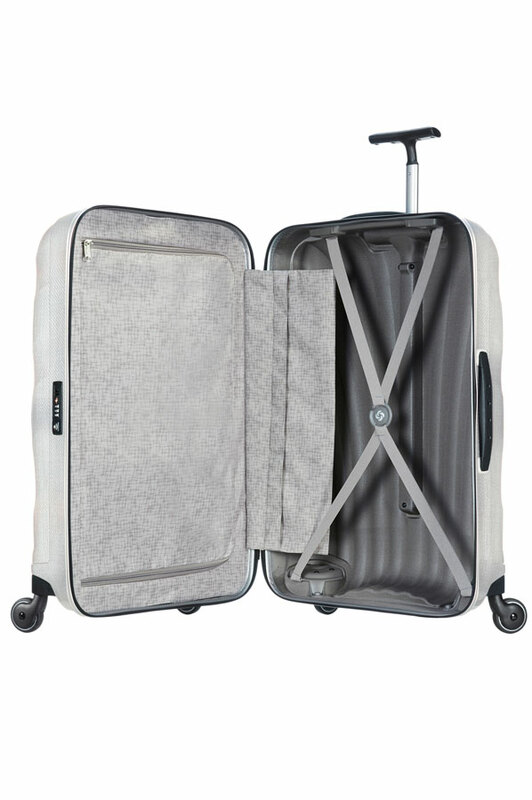 Inside there is the usual Samsonite attention to detail; an organized and efficient interior with lowered cross ribbons, side pocket and divider-pads and on the outside 4 spinner wheels for multi-directional gliding. The only thing I would add if I had the opportunity would be a brake so you don’t have to lie the case down sideways when you are travelling on a train or bus. A minor niggle in an otherwise excellent product. 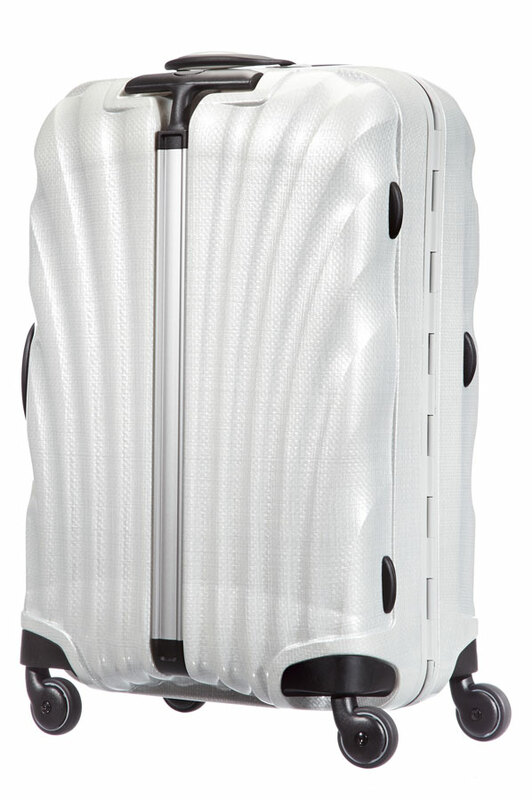 I love this review, how much does the Samsonite Lite-Locked cost? The Samsonite Lite-Locked collection is available in a selection of striking colours: including Black, Off White and Navy Blue. Available in a variety of spinner sizes, the collection also includes zipped cabin size spinners in matching colours if you want a matching set.